Saga Subsea has the pleasure of having the Master Student Hanne Tvedt present in the office for the next 5 months. During the event Gran Canaria Oil and Gas Meeting Days, arranged by Grupo Stier and Saga Subsea, Norwegian Offshore Wind Cluster will attend the event, and support with a lecture towards the Offshore Wind theme of the event, also supported with a lecture from Equinor and their offshore wind team. 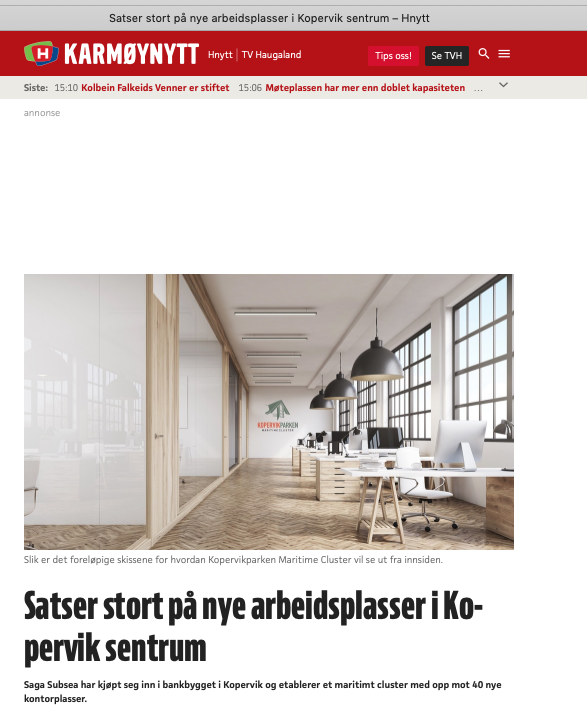 As the brand new Norwegian polar research vessel "Kronprins Haakon" sets course towards Antarctica, the vessel have been prepared with a high quantity of high-tech subsea research equipment. 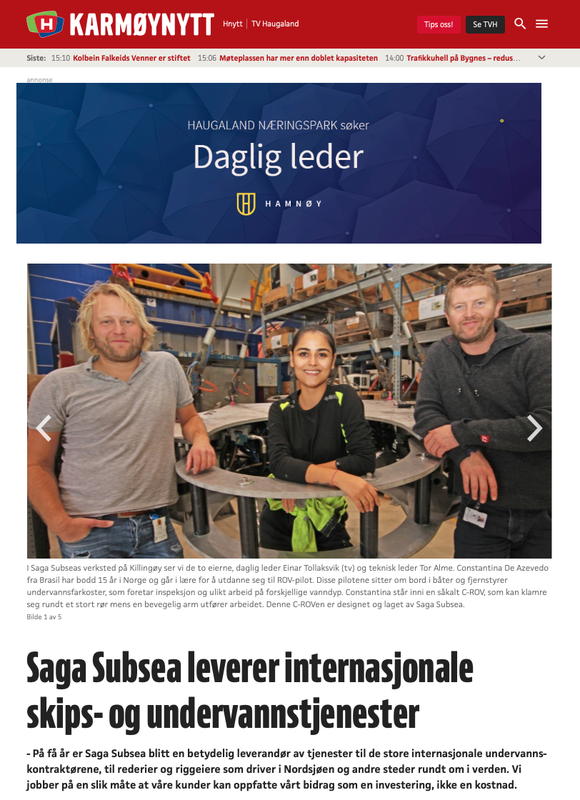 On behalf of The Norwegian Ocean Laboratory, Saga Subsea have proudly been a part of the preparations and mobilization of the ROV spread for the mission. The end of 2018, and the beginning of a New Year.